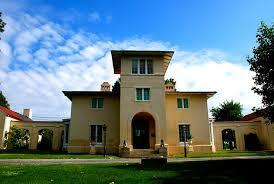 Norris House was originally built in what was called the Italianate style. In the United States, Italianate architecture was popularized in the 1840s by architect Alexander Jackson Davis, as an alternative to Gothic and Greek Revival architectural styles. It's interesting to note that the oldest surviving example of Italianate architecture in the US is Blandwood in Greensboro, NC, a residence designed by Davis and built in 1844 for Governor John Motley Morehead. Norris House never had the three story or greater tower like many Italianate structures, but she has many other features associated with the style: angled bay windows, a pediment above the front door, projecting eaves supported by corbels and some low-pitched roofs.